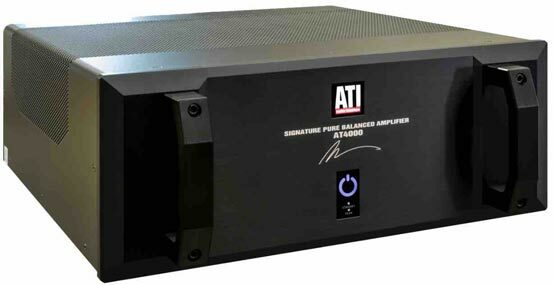 Why are ATI's power amplifiers a cut above the competition? The answer is simple: advanced design and the use of only the finest component parts available. They manufacture their own toroid power supplies to guarantee maximum efficiency, power output, reliability and availability. Internal and external connectors are gold-plated to ensure positive corrosion-free connections. Chassis and heat-sinks are designed to provide the strongest physical integrity while offering the most efficient cooling. Multi-layer circuit-boards are designed and assembled in-house, ensuring exceptional quality and consistency. ATI considers "value" a requirement in every facet of a product, not just in a feature or two. When comparing power amplifiers, consider all the essential factors in your decision. Price/performance characteristics such as: distortion specifications, flexibility, reliability and design parameters are critical. And not least of all the warranty - will the manufacturer unequivocally stand behind their products? ATI will consistently outpace the competition in every category. AT6012 - 60 watts per channel, 12 channels. * These are the amplifiers that are currently powering our ATI home theater room.